This week Vladamir Putin was announced the winner of the *ahem* prestigious Confucius Peace Prize. Many have already been quick to point out the irony of “The Butcher of Chechnya” getting a peace prize. I think, however, this is a very apt metaphor for the greater political discourse in China. The Chinese committee who awarded this is obviously pretty nationalistic, as the entire premise of the Confucius Prize is a rebuke to the Nobel Peace Prize awarding to Liu Xiaobo. And to many Chinese nationalists, awarding Putin a peace prize makes perfect sense. He had the courage to stand up to renegade separatist territories like Chechnya and Georgia to ensure Russia’s territorial integrity and peaceful unity. The subtext here is pretty obvious. During the class discussion question “What would you do if you were president of China?” I would always inevitably have 2-3 students say something like “send the military into Taiwan” (and sometimes into Japan). Chinese nationalists would love to see their leaders have the brass to reclaim the island and other disputed territories. But this is obviously not something the Chinese government wants. They’re smart enough to realize that vastly superior military might doesn’t necessarily translate into a swift conquest (See USA vs. Iraq/Vietnam). So as much as the government likes to selectively use nationalism to prop themselves up, they don’t want it getting out of hand to the point that they’re forced into a war they’re not ready for; or even suffer large scale business disruption. So they tone down this kind of sentiment as often as they inflame it to ensure it’s at the appropriate level. The Confucius Prize wasn’t endorsed by the government. In fact, the organizers defied a direct order not to continue it. Guessing why the government tried to shut it down would be pure speculation (The Peking Duck has some good analysis). And who knows if they knew the winner would be Putin ahead of time (although they definitely knew he was nominated). But if you look at it from the Chinese perspective, Putin does make the Chinese government look fairly weak by comparison. It’s hard to imagine they’re happy about this. Last year was embarrassing enough and such an obvious ploy to redirect attention that came off as a sullen pout fest. This year is just as embarrassing (the winner doesn’t even know the prize exists until after he wins) but with the unfortunate disgust of being associated with the literal opposite of peace (ie: WAR). It says a lot about the mentality in china where they view the Chechnya massacre as a GOOD thing for PEACE!!! 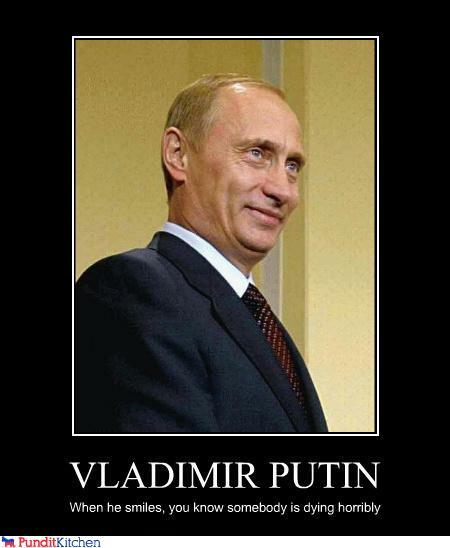 I dislike Putin a lot! But Chechnya is a thorn in the arse. I believe that any country and not only Russia would be harsh with Chechnya. raised as a Native-American, and I realized “oh, wait a minute, all of these things that she’s telling me are not making sense”. When it comes to our children’s happiness, less is more. You will need to prepare a valid passport (which is 6 months validity beyond exit date with 2 blanks pages at least), 2 passport-sized photos and some USD for stamping fee.